These sterling silver and marcasite frosted earrings are set on heart shaped posts and feature whimsical full figured cupids complete with arrows of love. 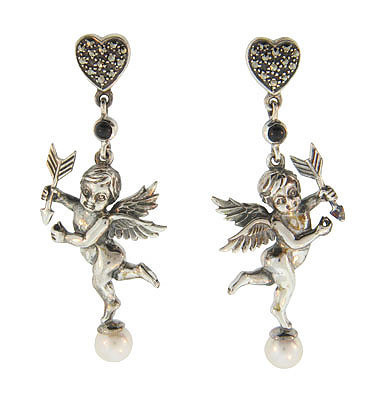 The charming cupids balance daintily on a single faux pearl base. The bridal earrings measure 2" long, 3/4" wide.